How much will Lord Kyle jeopardize to honor his lust-driven wager with the peasant Eleanor. His life? Eleanor, a peasant, escaped the nuns at the convent who punished her as a witch because of her prophetic dreams. And yet, when Lord Kyle of Trystonwood rescues her, she realizes he is the knight in her vision. Lord Kyle interprets her prophecy to his advantage – that she belongs to him as his bed-mate. 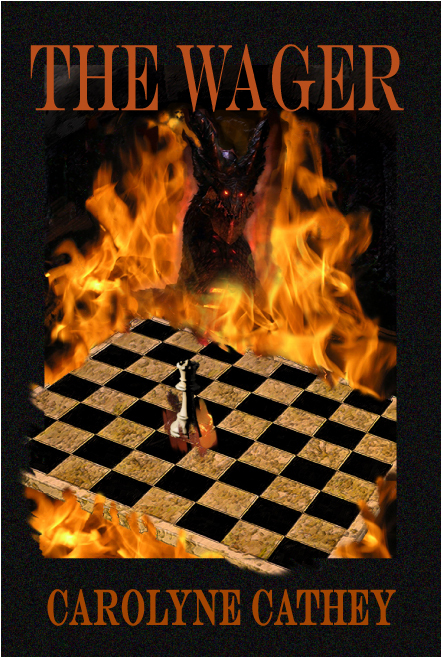 When Eleanor refuses, Kyle proposes a rash and dangerous wager in a game of chess that temps her to risk her innocence. Lord Kyle knows that the king forbids nobles to marry peasants, especially when King Edward who cried treason at even minor slights has strongly suggested Kyle wed the king’s cousin. The king would not be amused. As to Eleanor’s confessed visions, Kyle, too, dreams of a dragon. Is the dragon King Edward? Or Eleanor? Or is Eleanor truly a witch who has cast a deadly spell on him.